Zagreb is the largest city of Croatia. The city boasts a charming medieval ‘old city’ with the architecture and cobbled streets reminiscent of Vienna, Budapest, Prague and other Central-European capitals.Zagreb can offer its visitors the Barroque atmosphere of the Upper Town, picturesque open-air markets, diverse shopping facilities, an abundant selection of crafts and a choice of traditional cuisine. Zagreb is a city of green parks and walks, with many places to visit. Enjoy an included city tour of Zagreb, that covers all the main attractions of Zagreb. Starting at Ban Jelačić Square (the main Zagreb square), it includes St. Stephen‘s Cathedral (the biggest church in Croatia), farmers market Dolac, Stone Gate, Parliament and Government House, St. Mark‘s Church, St. Catherine‘s Church, Lotrščak Tower and Zagreb Funicular. Travel south today to visit the country’s best-known national park—Plitvice Lakes. 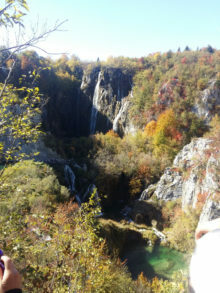 Plitvice lakes are the world’s natural heritage site that has been on the UNESCO World Heritage List since 1979. The beauty of the National Park of Plitvice lakes lies in its sixteen lakes, inter-connected by a series of waterfalls, and set in deep woodland populated with diferent animal species. Timeless beauty of waterfalls thrills in every season in a different way, leaving you breathless. Our guide will walk you through the national park. After Plitvice discovery head towards stunning Croatian coast and coastal town of Opatija. 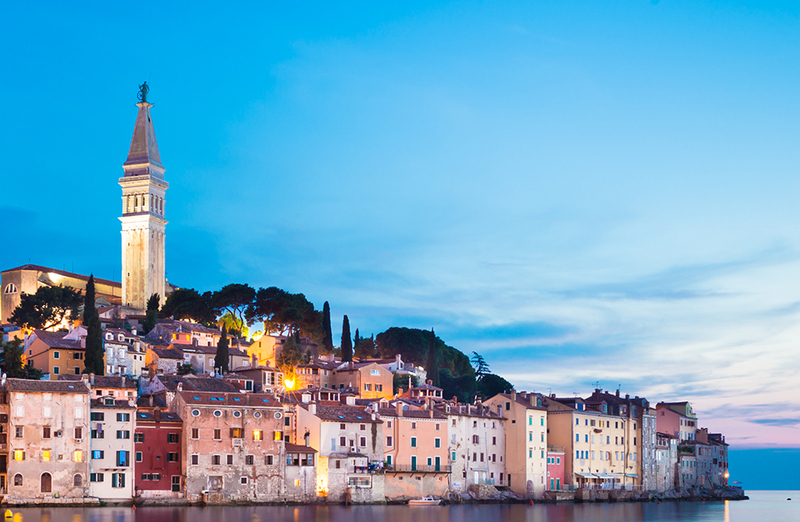 Start a wonderful day out by exploring one of the most picturesque regions of Croatia Istria. 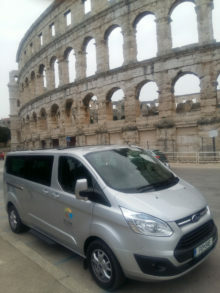 We visit the town of Pula with its Roman Amphiteater, Rovinj – The Pearl of the Adriatic and Hill-top towns of Istria. First stop is in town of Pula. The Pula Arena is the name of the amphitheatre located in southern part of Istrian Peninsula. The Arena is the only remaining Roman amphitheatre to have four side towers and with all three Roman architectural orders entirely preserved. It was constructed in 27 BC – 68 AD and is among the six largest surviving Roman arenas in the World. A rare example among the 200 surviving Roman amphitheatres, it is also the best preserved ancient monument in Croatia. 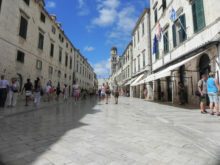 – 8 nights hotel accomodation based in twin/double bed in centrally located 4* star hotels. Sea view rooms where ever aplicable. 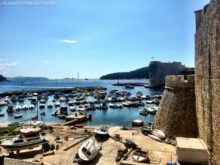 – Local Guides in Zagreb,Split and Dubrovnik. 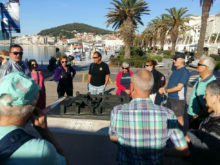 – Orientational guided walk of Kumrovec, Pula, Rovinj, Plitvice Lakes and Zadar. 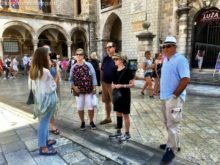 – All breakfasts, 4 dinners, 1 lunch,..
– Entrance fees to Diocletian Palace Cellars in Split, Rector’s Palace in Dubrovnik, Pula Amphiteater, Dubrovnik walls, ston Walls and Plitvice National park. – Organization, basic insurance and VAT.